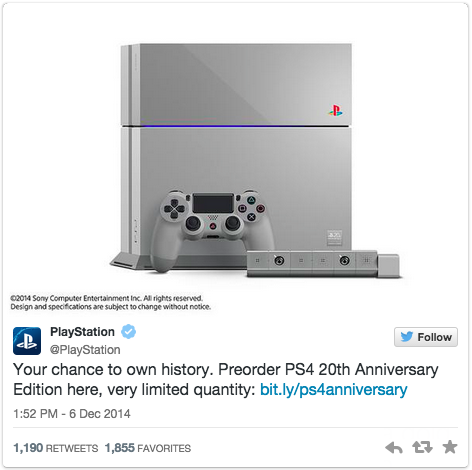 December 6th, 2014…a day that will be remembered as the day that many a PlayStation fan almost got a special 20th anniversary edition of the PlayStation 4. 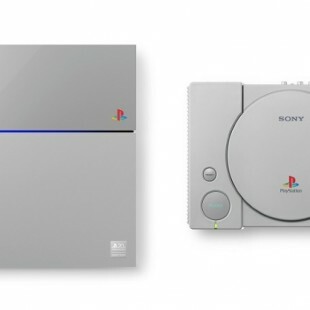 If you haven’t heard of it by now, Sony released a special edition of the PS4 that mimics the design elements of the original PlayStation and it’s limited to only 12,300 individually numbered consoles. 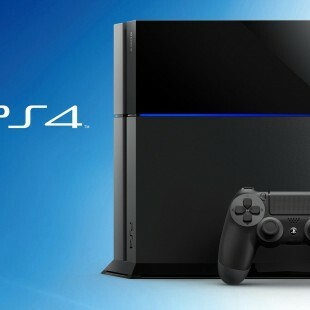 It also comes packaged with a matching PS4 camera, vertical stand and controller. TechCrunch got their hands on one already, so if you missed out on purchasing one, you can rub salt in your wounds by heading over to their exposé. The ramp up to this is been brewing on the internet for a while now with all signs pointing to a huge announcement at today’s first annual PlayStation Experience show in Las Vegas…essentially a huge convention for all things PlayStation. I read on Reddit that some users were having better success of getting orders through by using the checkout with PayPal option. I decided to try to open another browser and begin the process there. Same errors kept popping up. 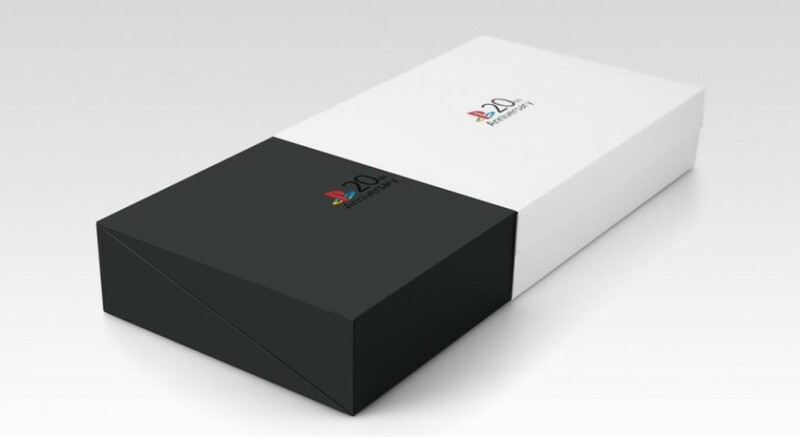 I began following people on Twitter and reading new comments on Reddit to see how others were doing in their quest to secure probably the most coveted limited edition console ever released. The only consensus I gathered from their results was to keep refreshing and keep refreshing! I followed the advice of those who came and conquered and sure enough, just shy of an hour and a half later, I got an email from Sony thanking me for my order and kindly presenting my order number. I ran back to Reddit to instill some hope with those who were still trying to get an order through, but it was too late. 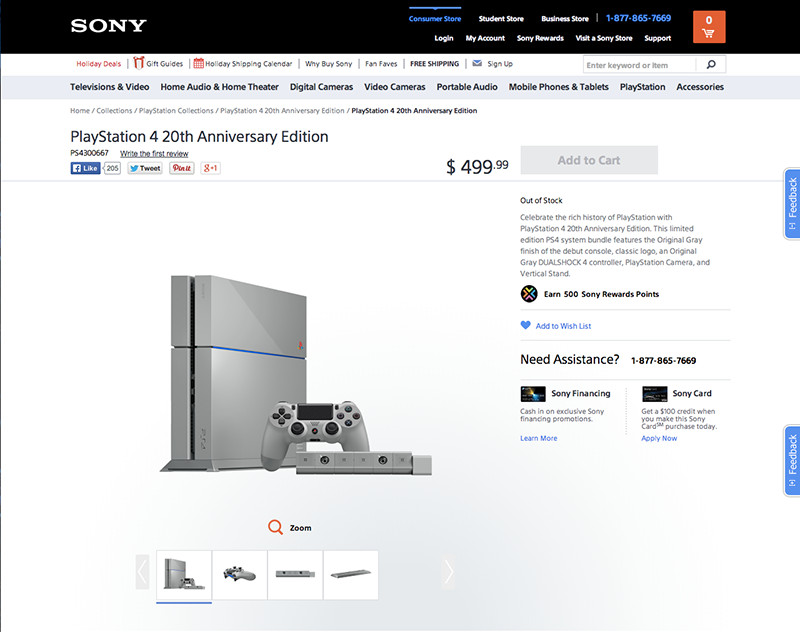 Within about six minutes of my order confirmation, the reports were coming back that the 20th Anniversary PlayStation 4 was indeed sold out. Sadly, I imagined many fans limping back from a failed attack on a war-torn battlefield while the rest of us ran up and secured that hill! The product page now stands as a memorial of sorts…as well as a source of sadness to those who couldn’t get one. The console will however have a second life over on eBay.